Dealers receive the benefit of quarterly Newsletters aimed at addressing regulatory trends, civil litigation developments and/or legislative changes confronting the industry. 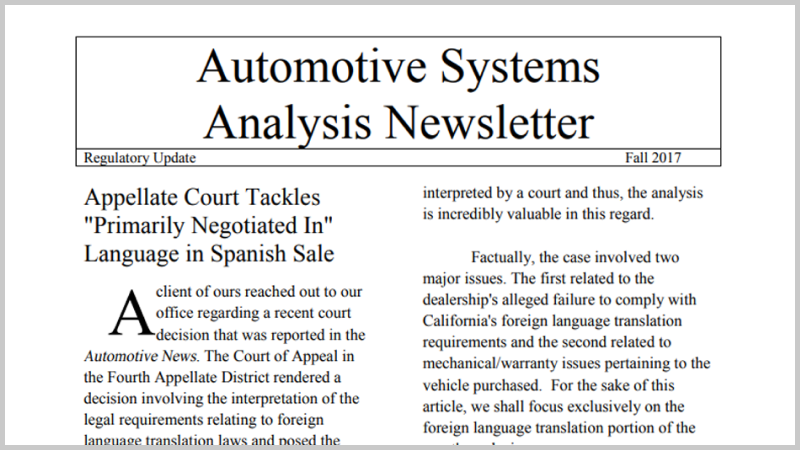 We use our Newsletters to keep dealers up to date on critical changes, trends and/or developments allowing the dealer to take corrective action before these issues can affect your dealership. We also use these Newsletters as a "supplement" to our compliance reviews to address those areas which are not amenable to analysis at the dealership or to address those areas outside our scope of review.